The Boston Art Club building at the corner of Dartmouth and Newbury Street in Boston, around 1882. 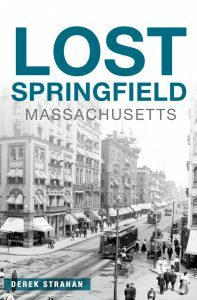 Image courtesy of the Boston Public Library. The Boston Art club was founded in 1855 by local artists, as a way of exhibiting and promoting their work. 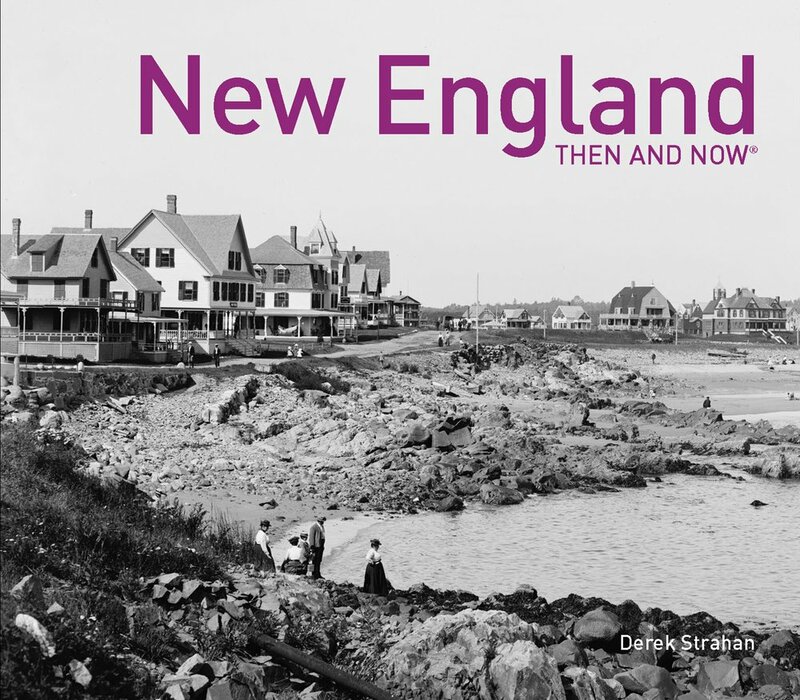 The organization met in a variety of locations throughout much of the 19th century, but by the early 1880s the Art Club had expanded to nearly 600 members, and there was a need for a new building. 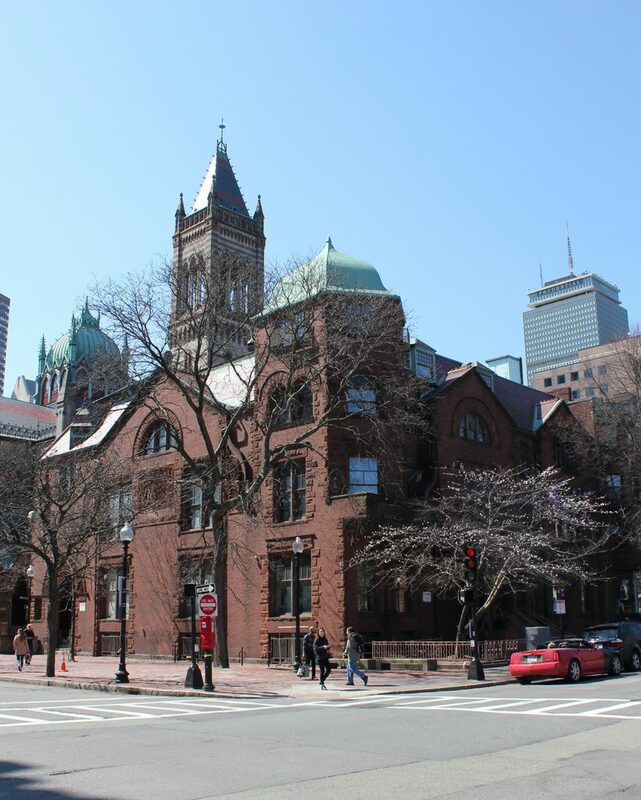 Like many of the city’s other cultural institutions, they moved to the recently-developed Back Bay, where they hired architect William Ralph Emerson to design a new building here at the corner of Newbury and Dartmouth Streets. It was an ideal spot for an art club, since it was just a block away from Art Square. Later renamed for Boston artist John Singleton Copley, this square has long been the main focal point of the Back Bay neighborhood, and it was the home of the Museum of Fine Arts from 1876 until 1909. 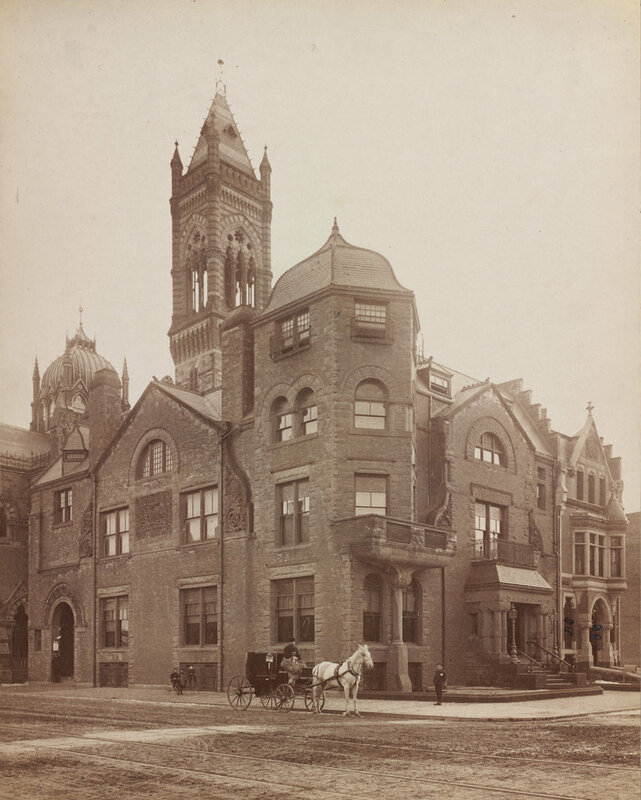 Upon completion of this building in 1882, membership in the Boston Art Club continued to grow, and the exhibitions that were held here were major events, attracting many of the nation’s leading artists. However, non-artist members began to vastly outnumber actual artists, which led to the organization becoming more of a social club, with conservative members who were reluctant to embrace modernism and other new art styles in the early 20th century. They continued to hold exhibitions for many years, and even allowed women to join as members in 1933, but the club would never reach the level of prominence that it had enjoyed in the late 1800s. The building was finally sold in 1950, and it is now a public school, the The Muriel Sutherland Snowden International School at Copley.